I have exciting news: Ben Carter Law PLLC is a thing that exists in the world. Today. While there are a number of heartening things about starting my own firm, perhaps the best is that I now count myself as a member of the elite class of “job creators” that make America great. 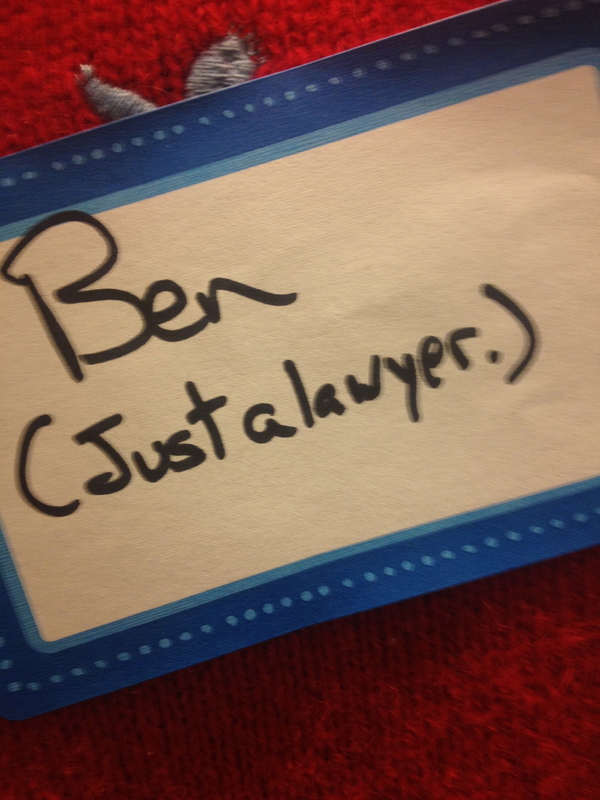 My job at Ben Carter Law PLLC? I built that. I’m going to continue working for the Network Center for Community Change, advising them on issues surrounding foreclosure and vacant and abandoned property. I’ll be training Kentucky attorneys to defend homeowners facing foreclosure and lobbying in Frankfort to give local communities the 21st–century tools they need to address the growing number of vacant, abandoned, and blighted homes. I will represent creative professionals: web designers, app developers, photographers, videographers, musicians, and graphic artists. These good people often don’t use lawyers and as a result don’t have contracts that help them have good conversations with their clients about deadlines, payment, and deliverables or protect them when things occasionally go south. I am going to continue representing people who have been injured by someone else’s negligence, whether that someone else is a negligent driver, lawyer, doctor, corporation, or property owner. I’m going to continue representing consumers that have been duped and defrauded by the false, unfair, deceptive, or misleading acts and practices of unscrupulous businesses. I want to help attorneys build beautiful, easy-to-maintain websites and not be idiots about technology. Many attorneys pay too much money for ugly, unusable sites. Others don’t have sites at all. In 2012, it doesn’t have to be this way. One of the things I am most excited about is a conference I’m organizing for 2013. The Commonwealth Justice Conferencewill be in Louisville from August 8–10. It’s for attorneys and laypeople in Kentucky who want to use the law and grassroots organizing to pursue impact litigation and legislative change to make Kentucky a better, safer, fairer place to be a worker, an immigrant, a homosexual, a voter, a kid, or a consumer. I’ll be launching a website and providing additional information about location, events, schwag, and speakers in the weeks and months ahead. Please sign up to receive email updates if you are interested in hearing more about Commonwealth Justice 2013. That’s it. This is the plan. You can get email updates from the firm, but only if you sign up for them. My phone number is (502) 509-3231 and email isben@bencarterlaw.com. You can be strange, but don’t be a stranger. P.S. Since I last emailed you, I wrote a pretty good essay on typography that lawyers and other people who type on a computer should read. P.P.S. You really should hop on the Commonwealth Justice train.